Developing Shopify Apps has become an industry in its own right. There are over 2,500 apps on the Shopify store, providing solutions for approximately 500,000 merchants. Some of the most popular apps like Yotpo, Oberlo, GrooveJar and Plugin SEO are being used by hundreds of thousands of Shopify businesses. There’s even a whole community of developers and power-users offering Shopify help. We’ve found Shopify apps to be particularly popular with buyers, so we have put together this post to outline how to build, grow and eventually sell your app. Shopify Apps largely serve as “plugins” to extend the functionality of a storefront, and are often very specific in the problems they seek to solve. Converting an idea into an attractive product on the Shopify app store is a complex process dependent on expertise in a variety of disciplines. This is one of the reasons why buying a Shopify app carries such appeal: instead of investing in the initial development, investors want to acquire an asset that has already proven successful and has a promising future. Out of this appeal has grown the opportunity of a healthy market for those who are willing to invest in the creation of an app in the interest of future profit. In this post, we will guide you through each step of the app-creation journey, from conceptualization to making your first sale and ultimately, selling your business at a profit. The first step to building a Shopify app is to consider any existing problems merchants could be experiencing. Identify pain points in the process and come up with ideas on how to solve them. What’s the purpose of the app? Once you have identified a few viable pain points, do some research into what solutions for these problems already exist. The best starting point for this is the Shopify App Store. For each problem you’ve identified, look for an app that claims to address it. 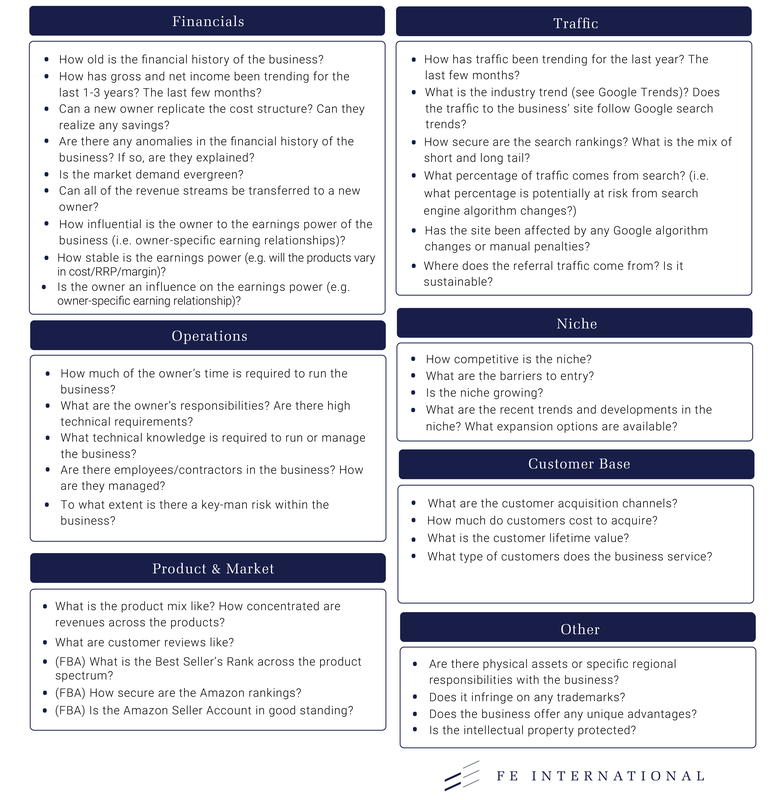 Run a competitive analysis against the existing product. Look not only at functionality but also at pricing and customer reviews. Gauge the success of these products by looking at the number of times they have been downloaded and the size of the existing user base. Don’t let the amount of competition within a particular niche put you off; it’s not inherently an indication of risk. If there are successful apps within the space, it indicates a healthy market. Think about how to improve on the existing solutions and identify features you could add. For example, perhaps there are existing apps that do things well individually, but there may be room in the market for an app with a suite of functions. If you see there are no apps for a particular function or market, you need to ask yourself why. There could simply be insufficient demand for the product. This column, from entrepreneur Chris Myers, offers great insight into how having little to no competition can actually be damaging to a business. By the end of the research process, you should have compiled a short-list of ideas for a Shopify App. Once you’ve done your competitive analysis, it’s time to flesh out the concept you believe has the best chance of being a commercial success. If you haven’t already, sign up for a developer account through the Shopify Partner program. There’s no cost to join and Shopify do an excellent job of encouraging and training people to develop apps for the platform. Any app published that enhances functionality and boosts revenue for merchants helps Shopify’s business too. Once you’re an official Shopify Partner, take some time to read all the technical documentation they provide. Now that you’ve scoped the MVP, and you’ve done your due diligence in determining that there is a market for it, the next phase is the development process. You will need to determine whether you want to take that responsibility on by yourself or pay someone to do it for you. Shopify prides itself on making development easy even for people with relatively little technical know-how. 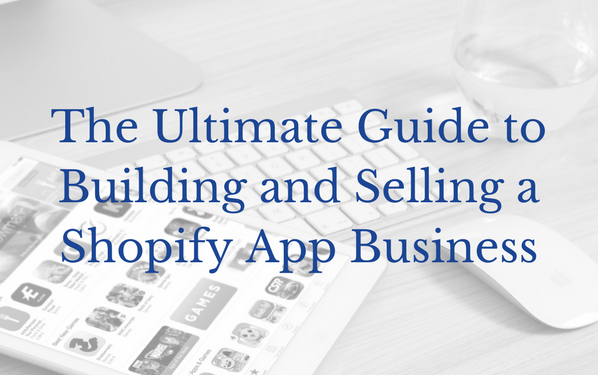 The official guide to building a Shopify app is your logical starting point. Though Shopify works hard to make app creation as accessible to the general public as possible, it is also upfront about the technical skills and tools required, as per the extract below. Have you cleared those hurdles? Close to the point where your app is nearing completion? Shopify also provides you access to the same checklist their own quality-control team uses to approve apps–an invaluable tool. E-commerce agency Demac Media offers an alternative to the official Shopify guide that’s lighter in tone. Touted as “the only guide you’ll ever need,” it delves deeply into the “how-to” of building an app and features handy screenshots. If the technical requirements seem daunting, you might seriously consider hiring a developer to do the coding and integration for you. Shopify themselves publish a comprehensive database of recommended experts and developers. Determining the appropriate pricing strategy is essential to success. The Shopify App store itself makes much of the information required to assess the pricing structure of your competitors easily available. How do they price their app? Free? Freemium? Recurring billing or software as a service (SaaS)? Look for ways to beat the competition, either through pricing or added value to customers. Assess whether it is possible to build multiple revenue streams into your app. This article from Entrepreneur magazine is geared towards monetizing mobile apps, but some of these strategies are relevant and worth considering. One-off or subscription-based payment models may be the simplest to monetize, but never underestimate the power of the freemium business model. Here are two examples of popular Shopify apps that have made “free” work for them. Yotpo: Boasting more 5-star reviews than any other “customer review” app in the Shopify App Store, Yotpo helps merchants build credibility by showcasing social proof, leading to higher conversion rates. It also offers powerful social media integration with leading platforms such as Instagram, Pinterest, Twitter, and Facebook. It’s a powerful app–and it offers a free forever plan to merchants. However, functionality is limited to enabling the fulfillment of a maximum of 50 orders per month. If your potential customer has a thriving Shopify business, they’ll quickly have to upgrade to one of the paid options. Oberlo: Since launching in 2015, merchants utilizing Oberlo have sold over 85M products around the world. This popular dropshipping app enables Shopify stores to easily import products, stocked and shipped by third-party suppliers, directly onto their site and offers a pricing model that scales with the merchant’s growth. Stores that ship fewer than 50 products per month can use the app for free, while two additional pricing tiers enable higher volume and offer additional functionality. GrooveJar: GrooveJar addresses one of e-commerce business owners’ most prominent concerns: conversion. The app offers several innovative customer communication features that gives the store owner additional opportunity to convert traffic into leads, and leads into sales. Every single one of the app’s features is free to use, with price points hinging on the number of customer contacts the store owner is enabled to make. The free version offers 1,000 free impressions – a figure that is more than sufficient to illustrate the remarkable value it delivers. Influencers: This is a great way to get your app into the market. Giving premium access to influential merchants, without charging for it, is likely to result in positive reviews that can improve rankings in the Shopify App Store. These influencers will also give you detailed feedback on improving your product’s functionality and may serve as brand ambassadors and/or affiliates as your relationship with them matures. Partnerships: Partnering with an app that has an overlapping target market can increase your visibility as you enter the marketplace. For example, if you have a conversion rate optimization app, the core problem you’re solving for merchants is making more money from their existing traffic. Find products that also address this issue without being in direct competition with your business and you may have a winning partnership on your hands. Communities: Taking an active role in forums is an efficient way of promoting your app, particularly if your app is relevant to a particular discussion. The Shopify e-commerce forum is a good place to start. Consider other communities for online entrepreneurs such as Warrior Forum and the Shopify Entrepreneurs group on Facebook. It is also worth monitoring Reddit for questions that may be relevant to your niche. Content creation: One of the best ways to build your brand is to share your knowledge. It takes minutes to start a blog and by demonstrating your expertise, you will build trust with potential customers. Another option is guest posting, which, again, allows you to tap into the audience of other, established brands. Most blogs will happily feature guest bloggers, provided you have the expertise in creating content they deem valuable. Integrations: Shopify isn’t the only e-commerce platform. Integrate with other major players in the market e.g. Magento, BigCommerce, and WooCommerce. As a result, you’ll generate additional revenue streams and increase brand awareness at the same time. Email marketing: With a return on investment (ROI) of $44 for every $1 spent, email marketing is a powerful way to keep your merchants engaged. Look at DirectIQ, MailChimp, or Sendgrid for designing and running email campaigns. Social media: Create additional awareness of your marketing activities by prominently featuring them on your social accounts. If you’ve written a guest blog post, ensure that it is shared on every platform on which you have a presence. If your Quora answer has received the most upvotes, let your followers know. Working on marketing is rarely about finding a quick fix. It’s a long-term strategy, with an emphasis on building your brand and making your business more valuable as an asset. You should treat your Shopify App as a business from day one. This means tracking all your data – from customer behavior to financials. The key is to have a history of sustainable revenue growth and to demonstrate that this trend will continue in the future. Use an application monitoring software to assess the performance of your Shopify App. Retrace from Stackify and FiveThrive’s KissMetrics are two such programs. App Downloads: This is the number one metric that defines the performance of a Shopify app. Benchmarks will vary across niches or pricing structures. If the number of downloads is lower than expected, you’re likely to be facing marketing or user experience challenges. To address this, start off by looking at your customer journey and where they may be dropping off. Active Users: A successful app will have a higher number of active users. Depending on the nature of your app, this can be measured either daily or monthly. For example, a store performance reporting app could be used on a weekly or monthly basis, whereas an invoicing app should be used daily. Retention/Churn: This measures how many stores are still using the app after a period of time. Across the industry, retention rate is measured over a three month period. The average Shopify app would retain around 50% of customers after three months. Improving retention rate by just five percent could lead to a 25% to 125% increase in profits. Reviews and ratings: A five-star rating can make all the difference to the success of your Shopify app. A 2015 study indicates that only 50% of customers would download an app with a three-star rating. On the Shopify App store, the top-ranked and most visible apps have five-star ratings. Reviews are similarly important in terms of customers comparing apps before making a purchase. Abandonment: This measures the number of merchants who leave the app before actually using it. A high abandonment rate indicates problems with the onboarding process and can be addressed by making changes to the user experience, providing users with more effective support or implementing better training processes. A Shopify app owner should take into account these key metrics and take action where necessary to improve performance. In doing so, the app would generate more revenue and therefore increase its value. The majority of potential buyers for your business are looking to make an investment that is able to generate a sustainable and relatively passive income for them. In addition to ensuring that it offers a stable stream of revenue, to increase the salability, the business itself should not be overly dependent on your operational involvement. You should also be able to demonstrate that it can undergo a change in ownership without damaging any relationships with any strategic partners. SOPs are designed to serve as a guide for the processes that employees are to follow when carrying out their tasks. This means the new owner (or someone on their team) should be able to take over both the day-to-day management and the marketing with minimal disruption. Many Founders and CEOs identify the implementation of SOPs as one of the most important elements for creating a scalable business that is attractive to a potential buyer. Sweet Process is a tool that can help you document, organize, and manage SOPs. Now that you’ve documented your SOPs, it would be wise to start extracting yourself from the business by outsourcing the tasks you were previously responsible for. This may mean hiring a freelancer or working with virtual assistants. Sites like Upwork and StoreTasker are excellent sources for finding reputable freelancers. Both websites offer ratings and reviews of individuals, which can be a good indication of the quality of their work. However, we strongly advise you to set a small task or test project so you can assess the service provider prior to offering a full contract. If your budget permits, you could also look to use a full service SaaS marketing agency. You should also protect the security of your Shopify app by signing Non-Disclosure Agreements (NDAs). This will protect your intellectual property (concept) as well as your assets (code) from misappropriation. The global reach of the internet means you can hire freelancers within a range of budgets. A developer in the United States would charge around $80 per hour, whereas one based in Vietnam may cost as little as $10 per hour. However, resist the temptation to simply go for the cheapest option and focus on delivering quality. Once you have the systems in place and the right team carrying out the tasks, you will have more time to focus on growing the business. The ultimate aim is to enable you, the owner, to spend less than 10 hours per week on the business, which will increase its appeal to the buyer. At FE International, we have sold over 500 online businesses for hundreds of millions of dollars. We have developed a formulaic understanding of valuing e-commerce apps. Below is a step-by-step primer on how to value a Shopify app. As the equation shows, SDE is the profit left to the owner once all operating expenses have been deducted from gross income. Important note: the salary taken by an owner is typically added back as this helps to standardize valuations across businesses where owners may pay themselves different amounts for tax purposes rather than anything to do with the complexity or time spent on the business. This model reflects the fact that most small businesses are owner-operated and, thus, owner-reliant. An owner will often pay themselves a salary and purchase personal items through the business for tax reasons. All of these expenses are acceptable add-backs in working out the true underlying profit potential of a business. Other add backs can cover one-time or no longer relevant expenses –for example, redesigning a website (assuming just done once) is a common add back. As this cost is not relevant going forward, it is adjusted accordingly. Valuation of companies in excess $5m is more complex. The benchmark of Earnings Before Interest, Taxes, Depreciation, and Amortization (EBITDA) is applied. In acquisitions of companies with over $5m in value, EBITDA multiples are used almost exclusively, with revenue multiples also used in larger, more strategic sales. Age: A Shopify app with a proven track record of consistent profits will be more attractive to a buyer than one with a history of a few months. Apps with a lifespan of at least 12 months old are the preferred minimum entry point. At two or more years, they may generate a premium valuation. There is a market for younger apps but the pool of buyers is much smaller particularly for seasonal apps. Time: This is about owner involvement. If a buyer needs to spend over 10 hours per week running the business, it can negatively affect the value (particularly for very small businesses). This is why we emphasized the importance of streamlining, and, wherever possible, automating business processes. What most buyers are looking for is passive income. Trend: Buyers rarely want to purchase an app where revenues are in decline or stagnant. Growth matters. Consider the niche the business is in as well. If the app is evergreen, it is likely to be in demand over the long-term, so the valuation multiple will be higher. Concentration: Relying on one product, niche, or monetization method can make your app vulnerable to sudden changes. Having multiple sources of revenue not only makes your app more profitable but also more resilient. With a Shopify app, this could mean launching on other platforms or having multiple products sold together. What percentage of visitors to your app’s page on the Shopify app store install the trial version? What percentage of installed trial versions result in conversion to the paid version? Extended Network: A good advisor will have an extensive network of fully-vetted buyers already in place. This leads to a highly efficient buyer search process. Comprehensive Service: Selling an app is complex, particularly if it’s the owner’s first time. A good advisor will steer the sales process from start to finish. The seller provides any information the advisor requests. At that point, the advisor takes over. Typically, the services offered are negotiation, due diligence, drafting of contracts alongside any other legal or regulatory matters, and finally closing the deal. Simply put, a good advisor will extract maximum value from the sale of the app, with the least amount of work required from the seller. Maximum Value: A seasoned advisor will accurately determine the true value of an app using market insight, previous experience, and app valuation metrics. Security: Reputable advisors deal only with buyers who meet a strict set of criteria and demonstrate serious interest and the requisite resources for acquiring an app. Using methods tried and tested, advisors will ensure your data, intellectual property, and other essential assets are kept safe and secure throughout the sales process, whether the deal ends up being finalized or not. Satisfying Advisor Requirements: It’s not just buyers who are subject to stringent vetting requirements from a reputable M&A advisor. Qualified sellers will need to provide a significant amount of information (much of which we outlined earlier) before being considered for representation. 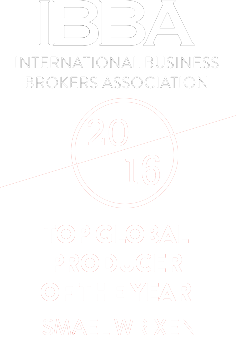 Fees: Any professional advisor worth working with will charge up to 15% of the final sale price as a commission. Using an advisor is particularly beneficial to first-time sellers or for any owner without the knowledge or network to extract maximum value from a sale. It can also significantly speed up the process. Qualified apps typically go from the listing stage to final sale in just four to eight weeks. Marketplace: Online app marketplaces appear to be a cheap and easy platform for selling your app. With listing costs often in the few hundred dollars range, it can seem like an inexpensive way to draw buyer attention to an app. The upfront costs may appear low but look closely at the fine print. Most marketplaces still charge a 15% commission on the sale price on top of any listing fees. They also have far less stringent vetting requirements for both buyers and sellers than a dedicated M&A advisory firm. This leads to a corresponding drop in quality–on both sides of the sale. Keep in mind that when an app sells through a marketplace it will be incumbent on the seller to do their own due diligence and buyer verification. Marketplaces certainly have their place. Bottom line: apps that have both followed the steps and meet the requirements outlined above, can get much better service and a better ROI for their 15% sales commission than they will ever see on a marketplace. Auctions: Much of what applies to the marketplace model also applies to online app auction sites. Auction sites feature a sales timeframe that an owner can determine, whether it’s a week, three weeks or a month. Essentially, it’s an eBay for buying and selling apps. Direct: An app owner may feel the best option is selling an app directly to the buyer, cutting out the middleman. If an owner has years of experience putting together deals and an extended network of buyer contacts, this may be a viable option. Without that knowledge, selling direct will likely end up being a lengthy, expensive and overwhelming process. Additionally, odds are high that your app will end up being sold below its full value. Shopify has a marketplace of over 500,000 merchants ready to use your app, meaning there is an opportunity to create, develop, and grow a business generating a healthy revenue. Increasing buyer interest in this burgeoning market means that selling a Shopify app is becoming more and more viable of an entrepreneurial venture. For a lucky few, perhaps genius ideas are a dime a dozen. But for the rest of us, it typically isn’t that simple. The entire value proposition around the usefulness of your app will depend on your ability to identify an opportunity to solve a problem. Unless you have a breakthrough way to do something that already exists 10x better, with a killer marketing plan, why create something that already exists? If you create an app that already exists, right off the bat you would be creating competition for yourself. Communicating and networking with people who use Shopify every day is a great way to get started in the discovery phase of identifying an existing problem your target user base experiences. Once you have a list of common problem areas, you will need to carry out your own research on the Shopify app store and check for existing solutions. Coming up with your initial idea probably seemed like the hardest part. But now comes the real work that it takes to make your idea a reality. We outlined the best practices on how to do this and while they certainly hold true in our experience, they will all look different to each entrepreneur depending on what the focus of your app is on. Be flexible, be patient and don’t be too proud. It is OK–and even recommended–to ask your network for some help. Facebook groups and forums like Reddit have been increasingly popular for these types of entrepreneurial questions. In the face of heavy competition for attention, and hard work along the way, picking something that you are interested in will keep you going through the hard times. Fads come and go and people who jump on board without bothering to set up for long-term success are almost invariably the businesses that are not likely to sell. Last, but certainly not least, build your business with salability in mind. This sounds like jumping the gun, but the steps taken to successfully sell your business are also steps that are necessary to run an organized, fine-tuned business. Apply those practices to your app right from the start and you will be thanking yourself when the day to sell your first Shopify App finally comes. Already have a successful Shopify app? Please get in touch if you want a free valuation.